Swim meets are a great family experience! They’re a place where the whole family can spend time together. Once you have attended one or two meets, the "organized chaos" will become very routine. Please do not hesitate to ask any other veteran River Valley Swim Club parent for help or information. Meets are a lot of fun for the swimmers! He/she gets to visit with friends, play games and meet kids from other teams. He/she also gets to ‘race’ and see how much he/she has improved from all the hard work put in at practice. 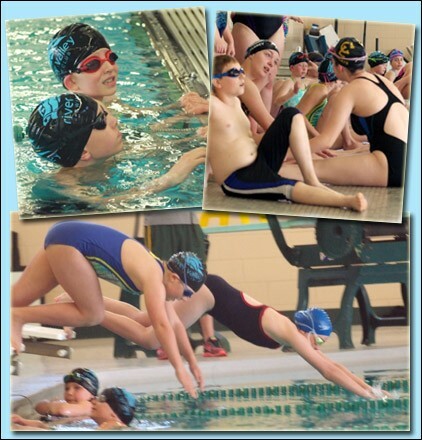 Please use this RVSC swim meet handbook as a reference to get yourself familiar with the swim meet process.